Did you know that the word “chai” translates to “tea”? So, when we say, “chai tea”, we’re actually saying, “tea tea”. 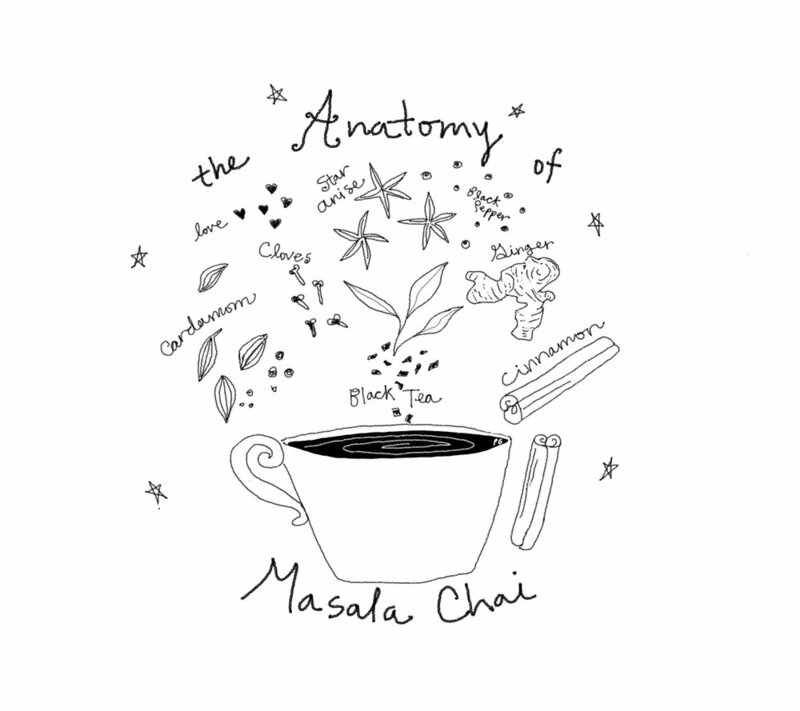 Tea, like the one illustrated here, is actually called “Masala Chai” which means “spiced tea”. When you order a plain black tea, you can ask for “chai”. But when we you mean the spiced version, call it “Masala Chai”. The addition of some type of fat and sweetener ties it all together. I like either heavy cream or coconut milk, and honey in my spicy tea. How do you like it?